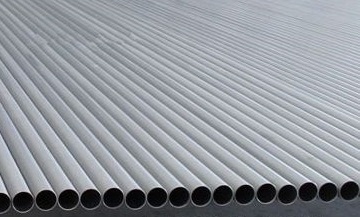 Recently, we have been supplying titanium grade 2 seamless tubes to a US client in Oregon. The tubes are manufactured in accordance with ASME SB-338 by cross-rolled piercing process. ASTM B338 titanium grade 2 seamless tubes, Φ25.4 mm x 2.0 mm x 2.6 m.
Two groups of specimens are prepared each of which has two test pieces. The grade 2 titanium test pieces of Group I were annealed at 550°C soaking for 60 minutes, while Group II is annealed at 600°C soaking for 60 minutes. Tensile tests and PMI(spectrum) were performed on each test piece and the mechanical properties and microstructure are obtained respectively. *Tensile tests were performed at room temperature. Microstructure of titanium grade 2 seamless tubes after annealing at 550°C. 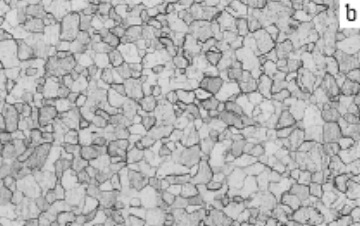 Microstructure of titanium grade 2 seamless tubes after annealing at 600°C. Analysis & Conclusion: all mechanical properties after either annealing at 550°C or annealing at 600°C can meet the tensile requirements of ASTM B338 grade 2 titanium. 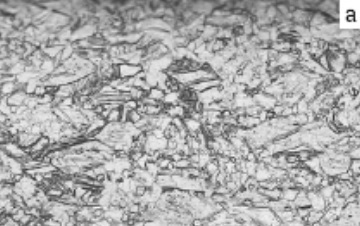 However, as shown in the metallographic photo [a], the recystallization is incomplete at 550°C while considerable cold-worked structures are visible. In photo [b], the recystallization is complete with equiaxed grain. The strain hardening is eliminated during 600°C annealing. Hence, relatively lower strength and better ductility are obtained. Usually for grade 2 titanium tubes, the annealing temperature shall be at 600°C.